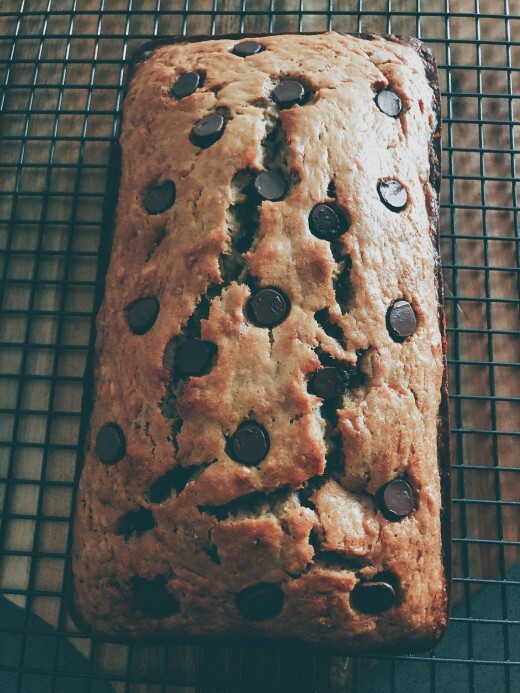 A slice of banana bread is waiting for me. Arguably, the banana is one of the most consumed fruits in the world. Speaking for myself, I almost always buy bananas when I go to the store. 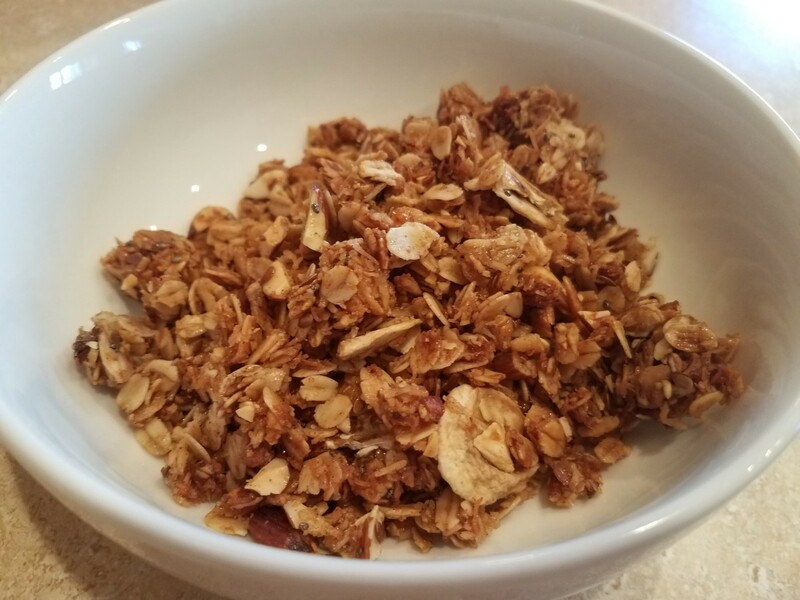 This nutritious fruit is full of minerals and vitamins, including Vitamin C and potassium. One study I read about showed that eating one banana per day helps with weight loss, digestion, and stress reduction. That sounds good to me because I love eating a banana at least once a day. Back in my hometown in Malaysia, we have banana trees at our backyard. My father grew the trees from the time I was young. Banana trees are very common in Malaysia, especially in small towns and rural area. Having these trees in our backyard was very convenient for cooking; for example, my mother had to walk only a few steps to pick a few bananas whenever she needed them. 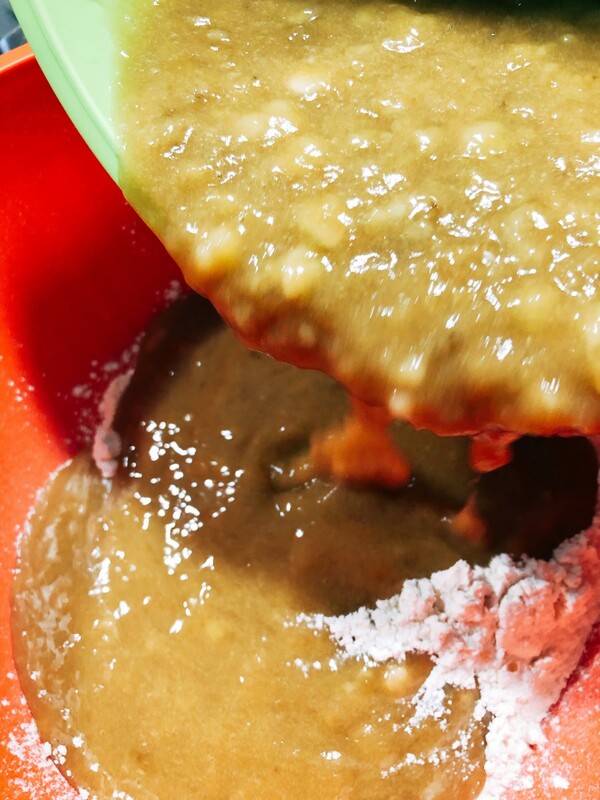 She used bananas and banana leaves in order to make traditional Malay desserts, or kuih. 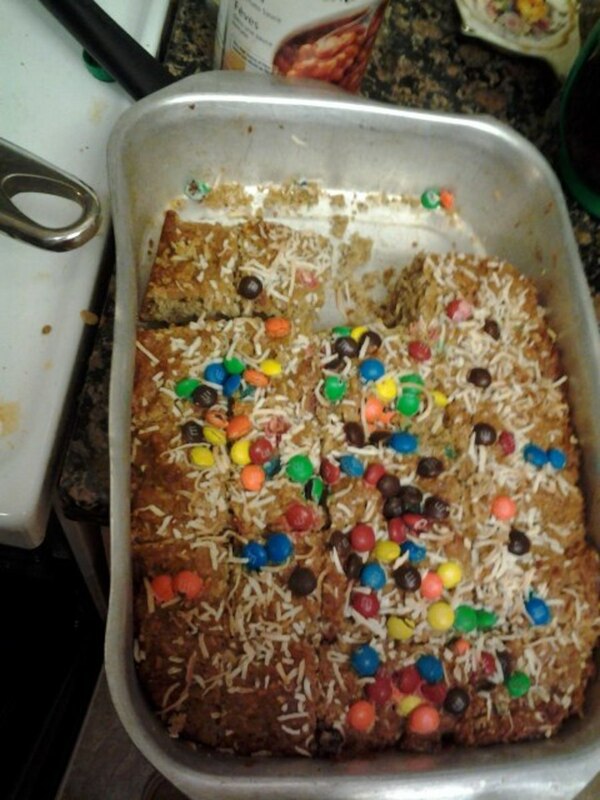 One of the desserts she made was banana bread. 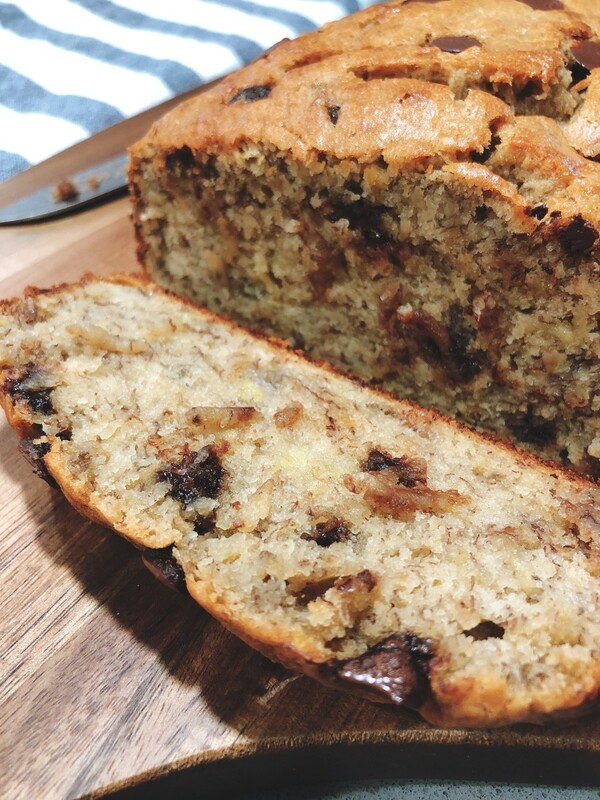 In Malaysia, banana bread is known as kek pisang, and this recipe is one of my absolute favorites. 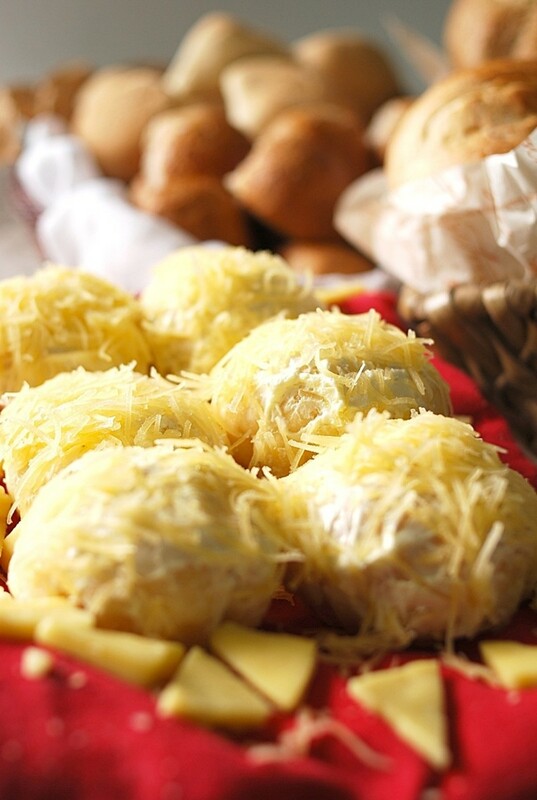 It is a very popular snack that you can find almost everywhere. Today, my inspiration for baking this bread was the cold, rainy weather. 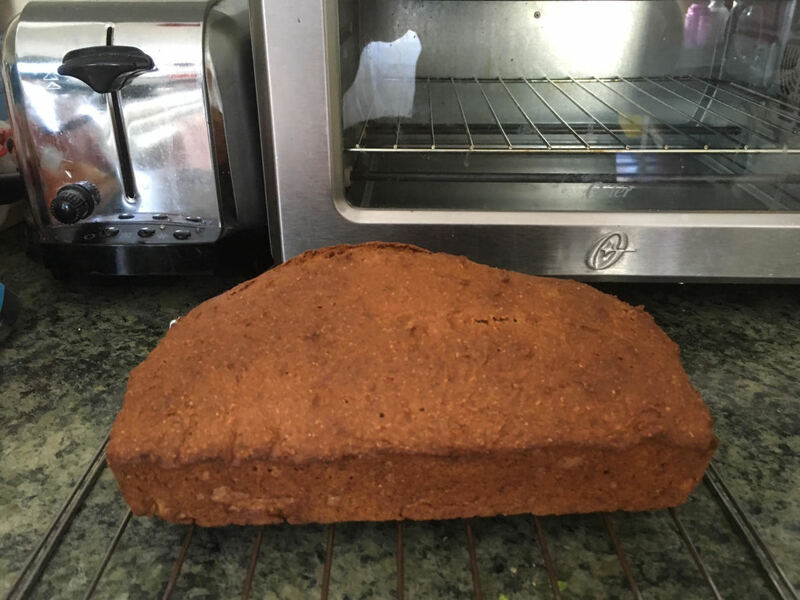 I was sitting comfortably on a couch, and I thought about having a slice of moist and delicious banana bread! So, I got up and started preparing the ingredients. 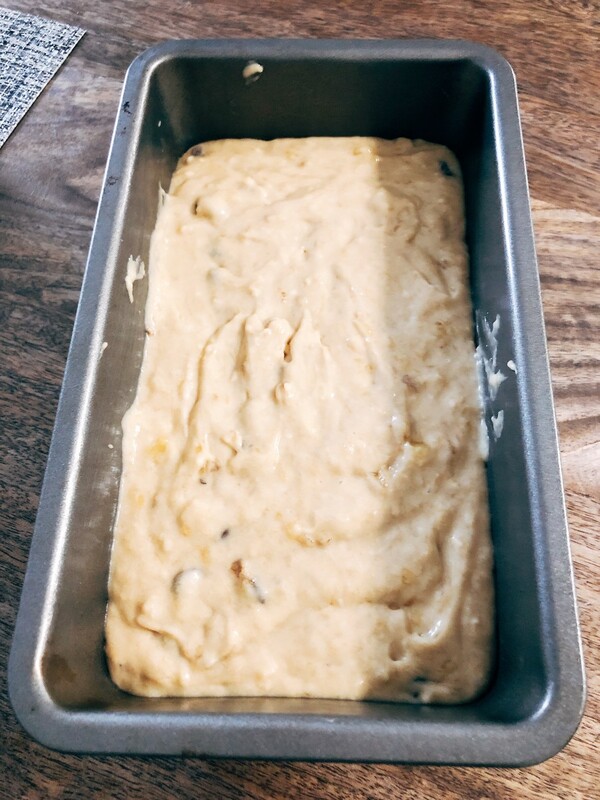 I have a few tips to share for making a loaf of moist banana bread. 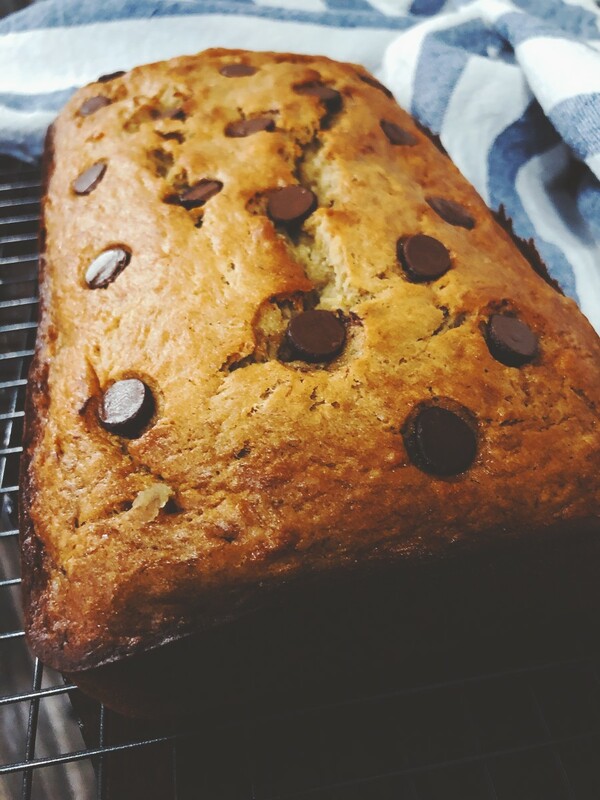 I highly recommended using any overripe bananas you may have on the counter. 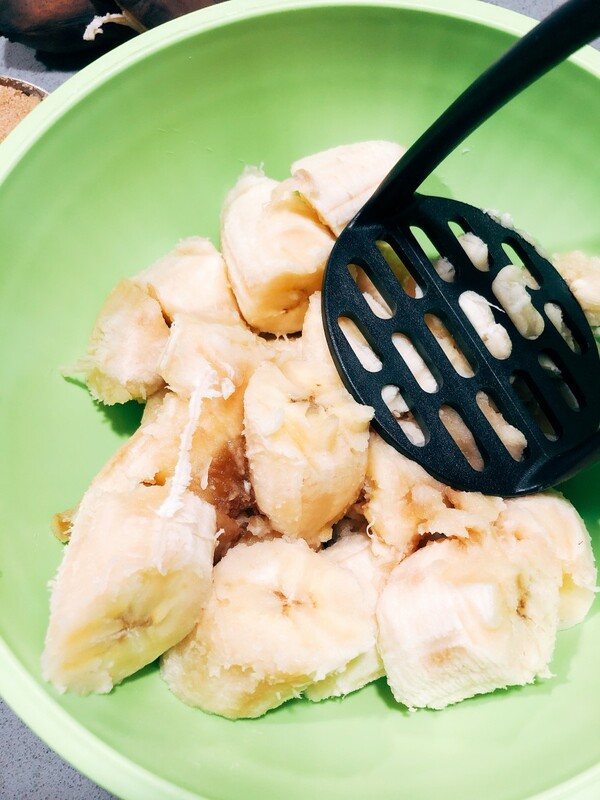 Next time you have overripe and dark-looking bananas on the counter, don't throw them away. 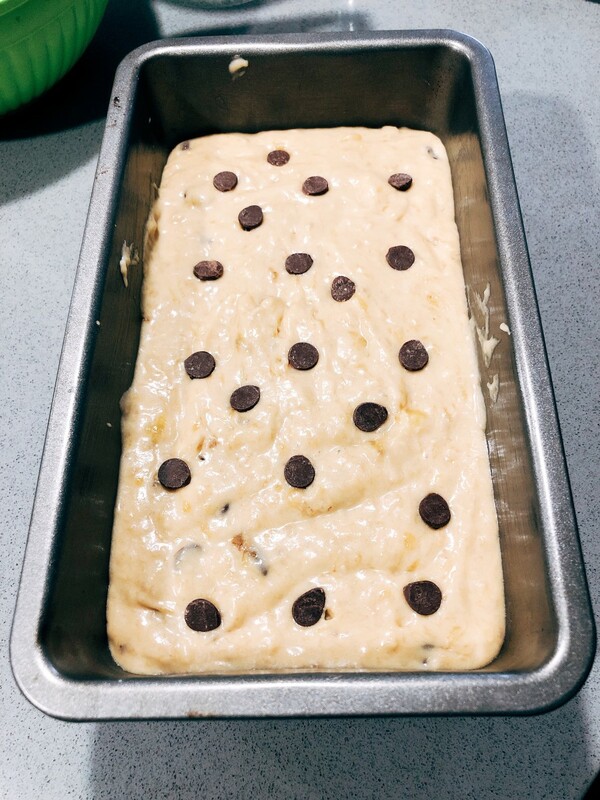 Make banana bread! 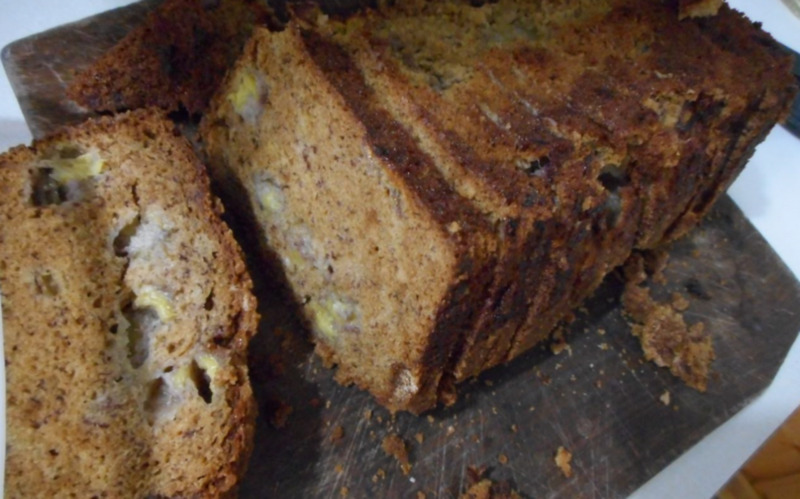 How to Bake Banana Bread to Perfection? It really depends on the size of your pan. 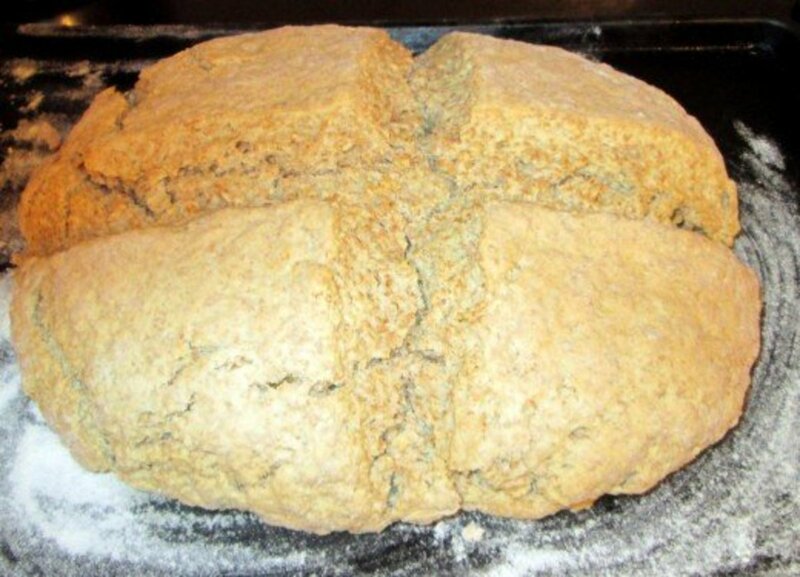 You can bake this recipe in one loaf (which will take longer) or in smaller loaves (which take less time). I decided to use a 9x4-inch pan since it is what I usually use. Baking definitely makes my house smell so lovely! 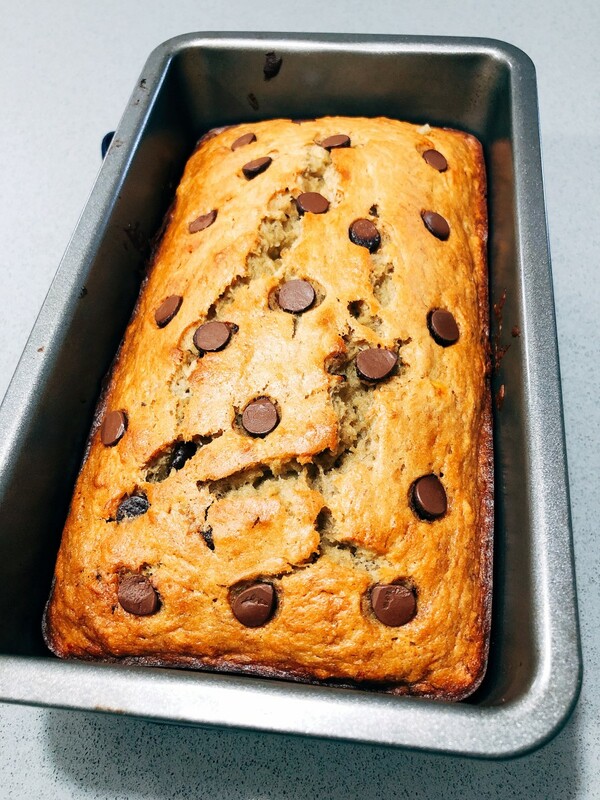 Banana bread is super easy to make, and it is very delicious. Peel off the entire peel from the banana. In a medium bowl, mash the bananas using a waffle head masher or a fork until they reach the consistency of chunky applesauce. Add the brown sugar, egg, and vanilla extract. Use a spatula to mix them together. Set aside. 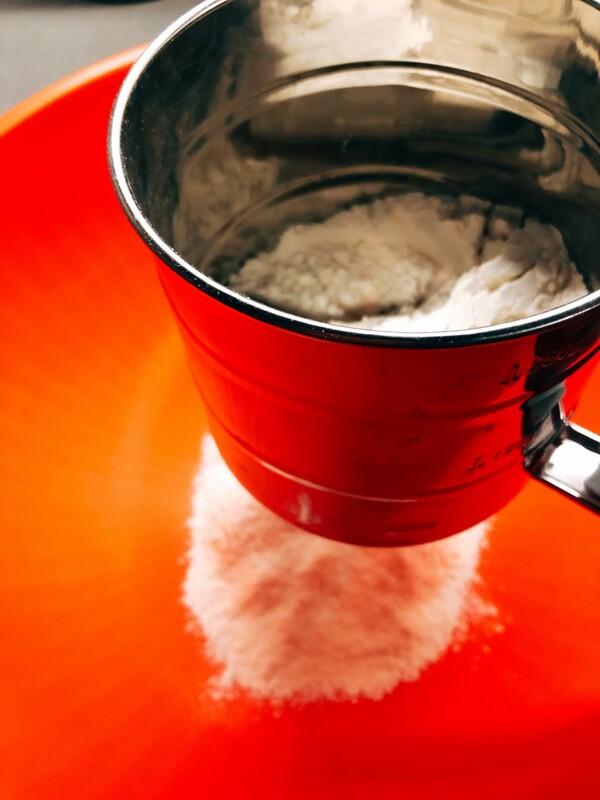 In another large bowl, sieve the flour, baking soda, baking powder, and salt. Set aside. In a pan, melt the butter over medium heat. Remove from heat and set aside. Combine the banana mixture into the flour mixture. Use a spatula to stir well. Add the melted butter and chocolate chips into the mixture and stir well. Pour the batter into the prepared pan and bake for 55-60 minutes, or until a tester inserted comes out clean. Let them cool slightly. 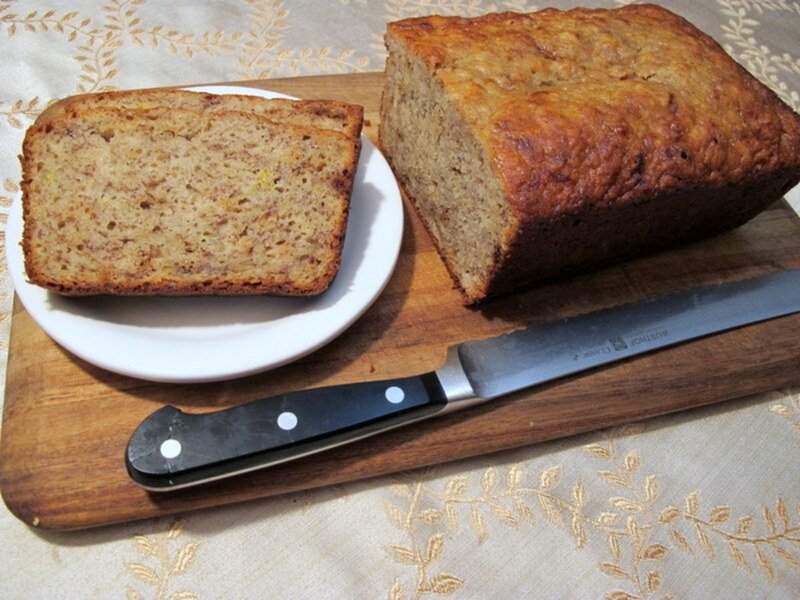 Place the banana bread on a wire rack or cutting board. Cut the bread and enjoy with your favorite cup of coffee or tea. 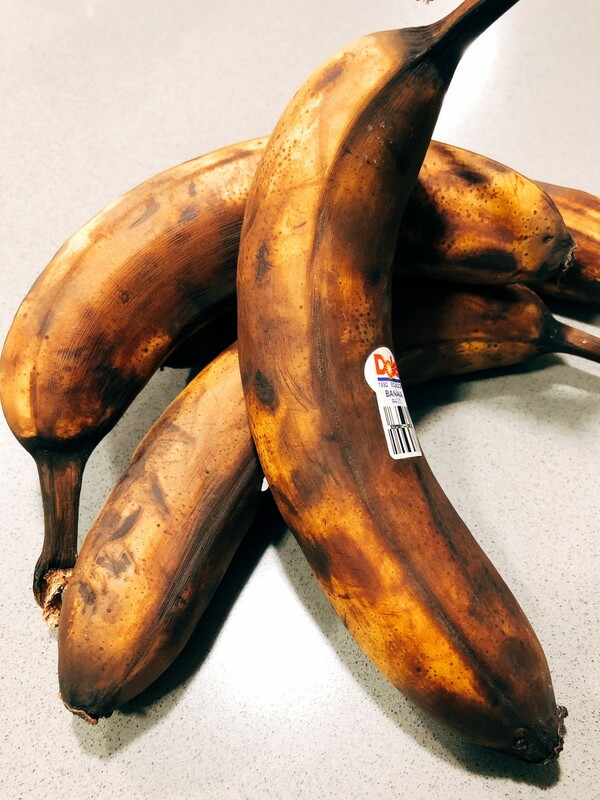 Overripe bananas on my kitchen counter. 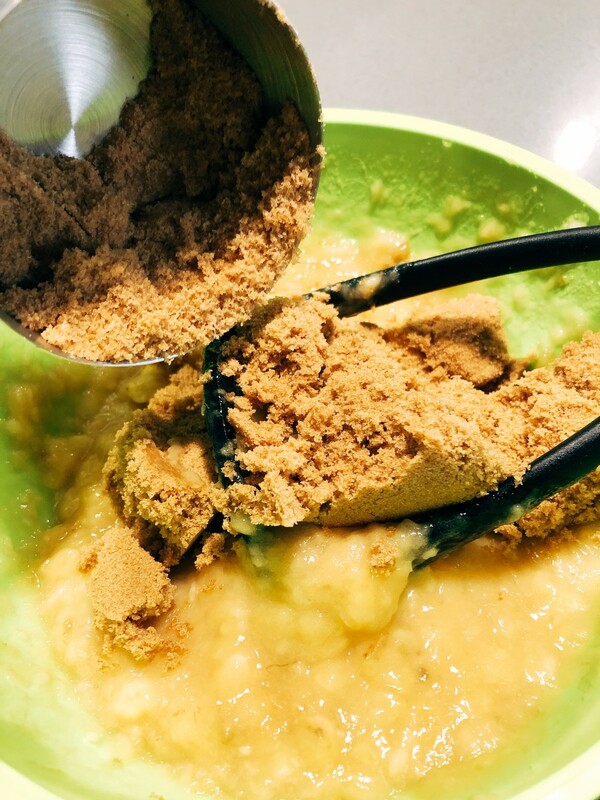 Combine the dark brown sugar. Sieve the dry ingredients in another bowl. 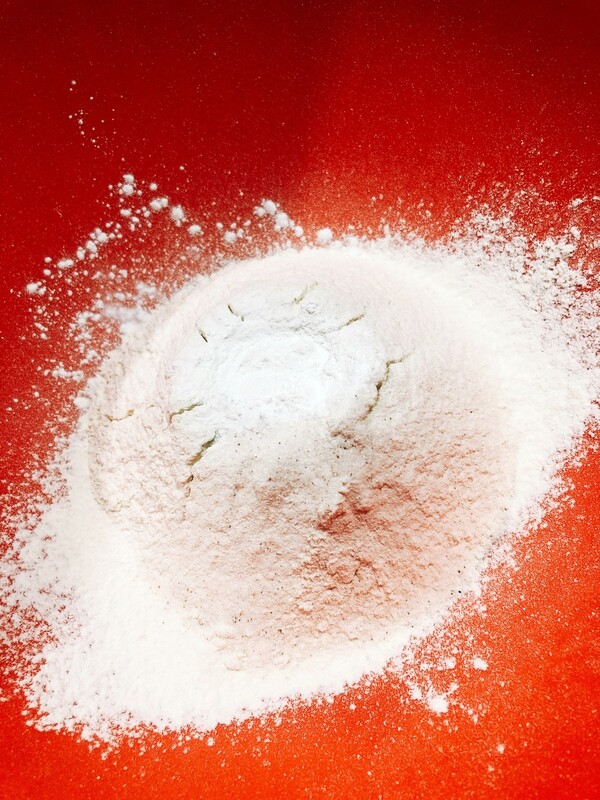 Flour, salt, baking soda, and baking powder in a mixing bowl. Use a whisk to combine them together. 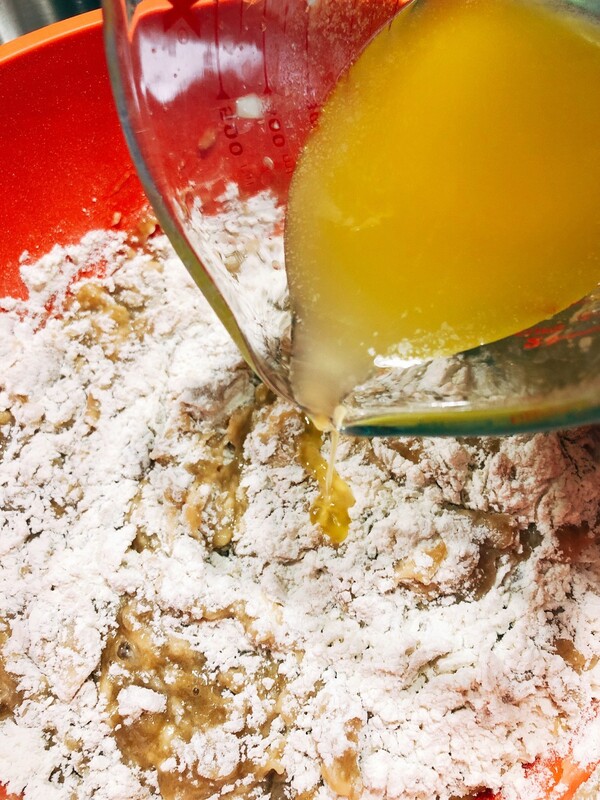 Combine the banana mixture into the flour mixture. 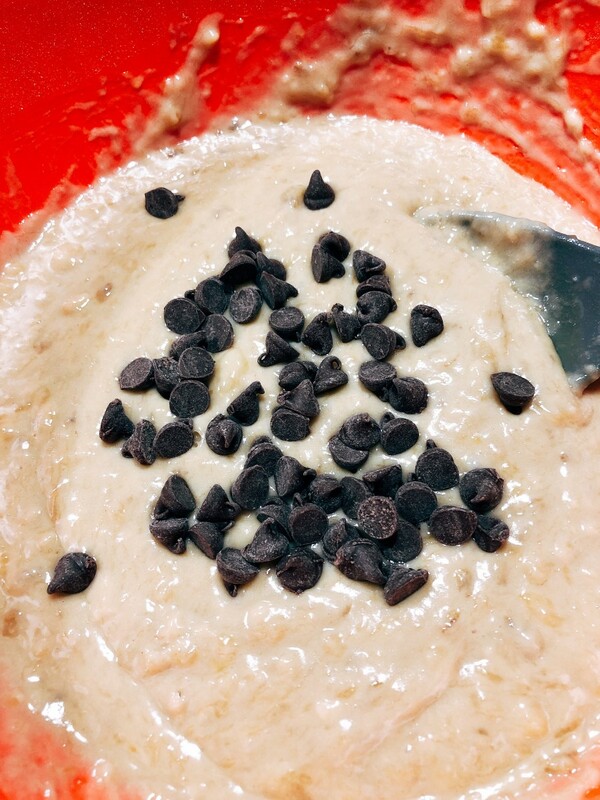 Sprinkle some chocolate chips on top (optional). I'm sure you going to like it. Thanks for stopping by! Have a nice weekend. Thank you for the recipe. I might just give this a try.